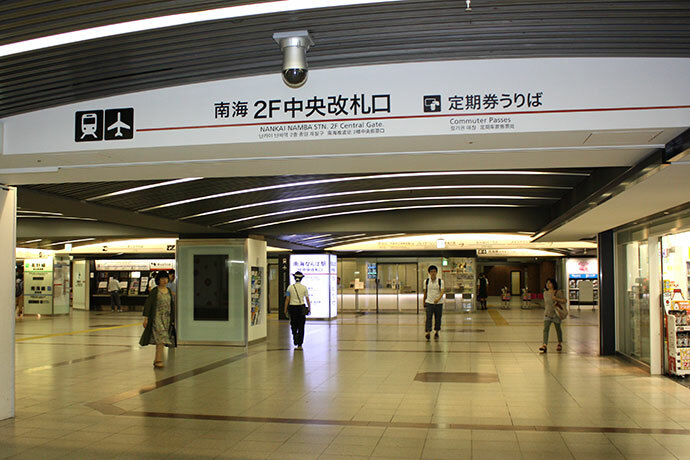 The entrance to Namba Station. This is where to start your journey to Koyasan. 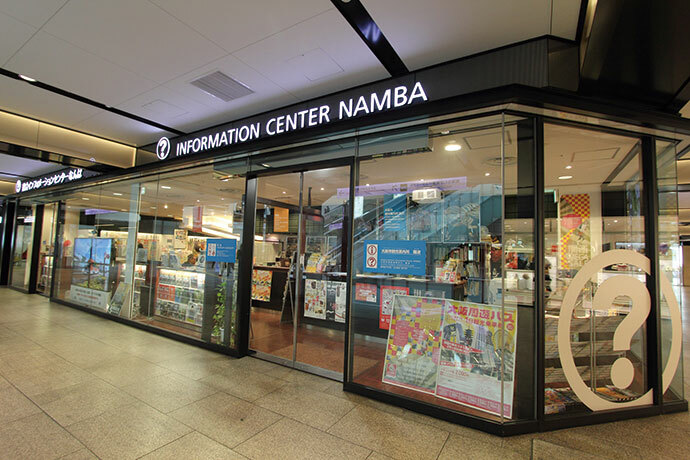 This is the general information counter, and carries a range of brochures and guides about Namba or Koyasan. Drop by before your trip to pick up the latest information. Second floor central ticket gate. You can get to the station platforms from here. 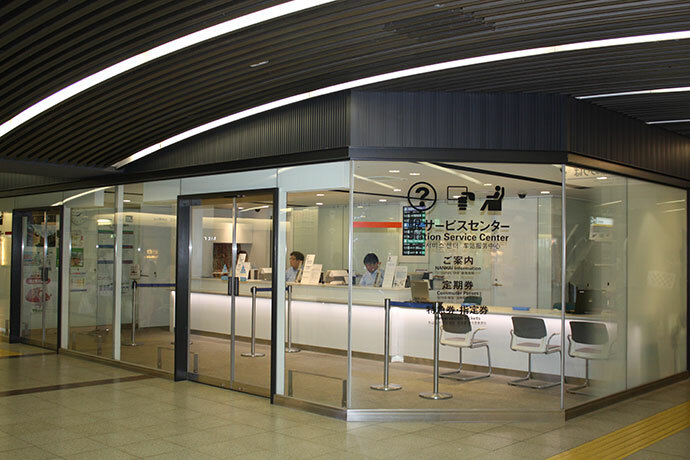 The Station Service Center is by the second floor central ticket gate. Get your Koyasan-World Heritage Tickets or other tickets here. 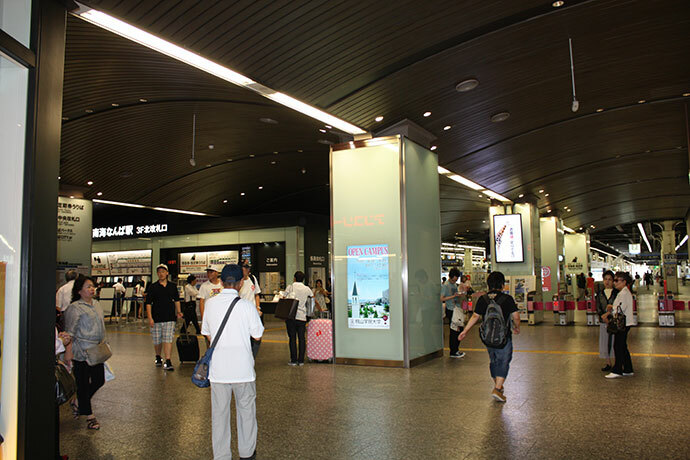 Once you get past the ticket gate you will see a destination board. 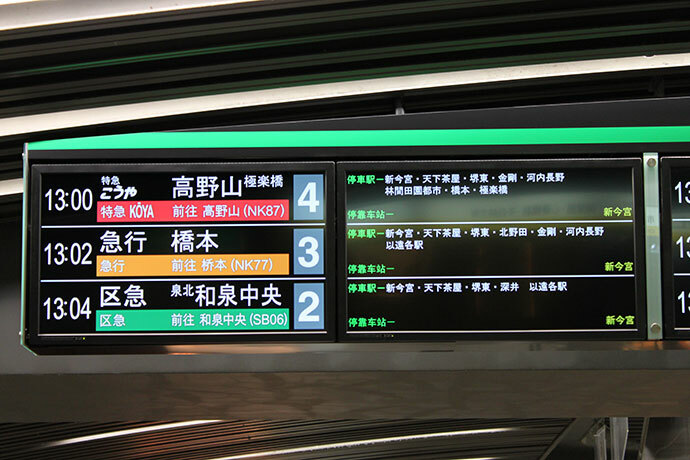 This board shows you when the next train is leaving, and which platform it leaves from. Third floor north ticket gate. You can get to the station platforms from here. 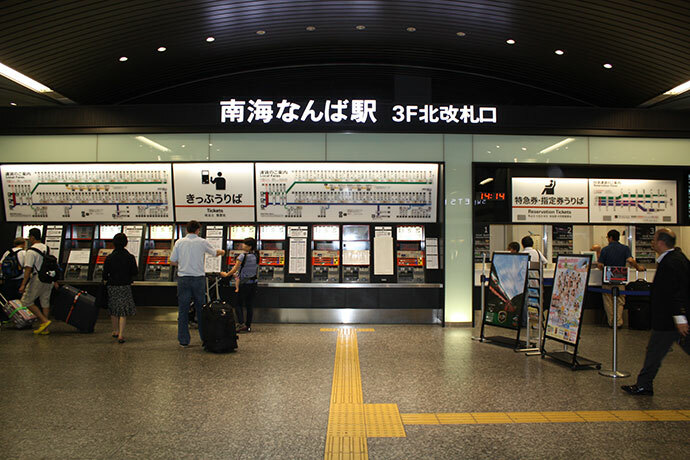 There is a ticket office by the third floor central ticket gate. Get your Koyasan-World Heritage Tickets or other tickets here. Trains depart from here. 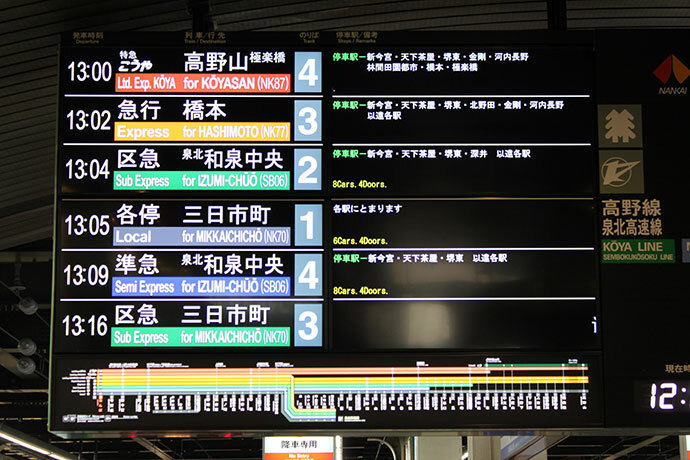 Check the time, destination and platform of the train you want to catch, then take the train heading to Koyasan. Enjoy the travel of Koyasan. The Ltd. Exp. 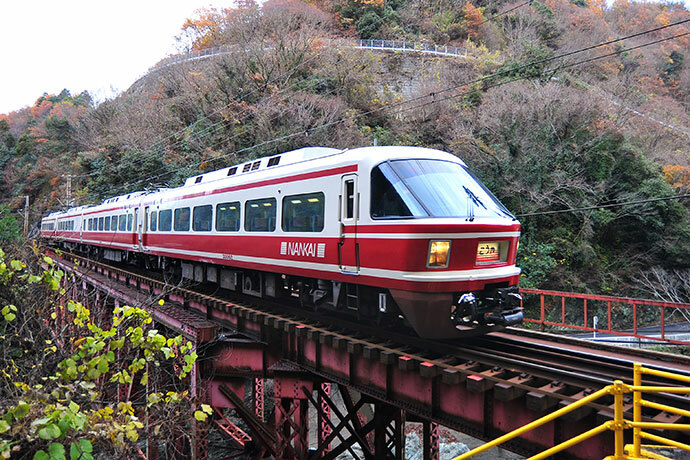 Koya is a sightseeing express that runs between Namba and Gokurakubashi stations on the Koya Line. It is painted in two-tone wine red and white. Sit back and relax in the comfortable interior and enjoy your trip to Koyasan. *Note: You will need to buy the limited express surcharge ticket in addition to the normal fare ticket. Like the 30000 model, it is painted in two-tone wine red and white. 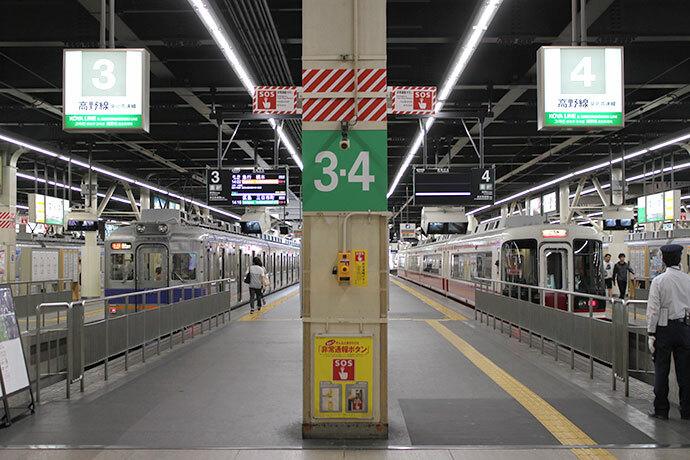 Standard trains running between Namba and Gokurakubashi stations on the Koya Line. All carriages are powered, allowing it to climb steep gradients and take sharp curves. 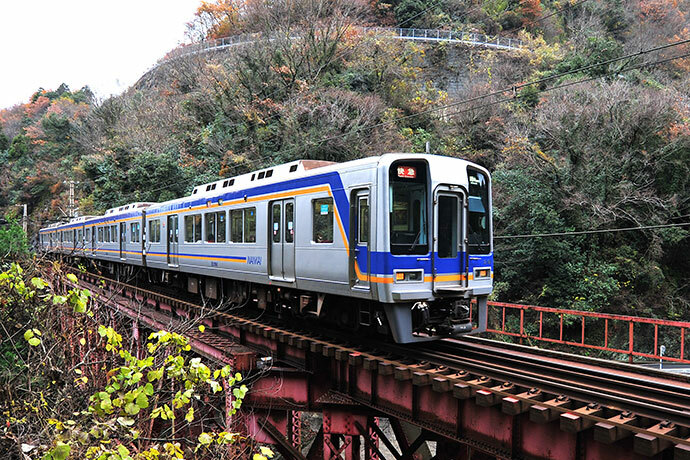 Trains running between Hashimoto and Gokurakubashi stations on the Koya Line. The carriages have red graduated color banding, with Japanese-style flower designs painted on them. 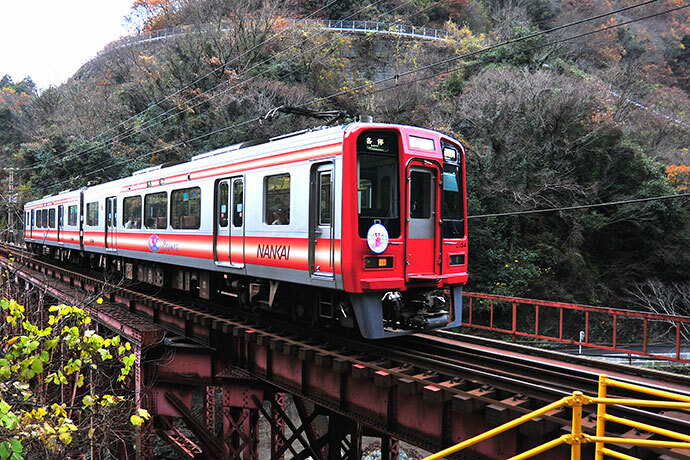 Like the 2000 series, all carriages are powered, allowing it to climb steep gradients and take sharp curves. *Note: Destinations change by day or time period. Always carefully check the destination of your train before boarding. 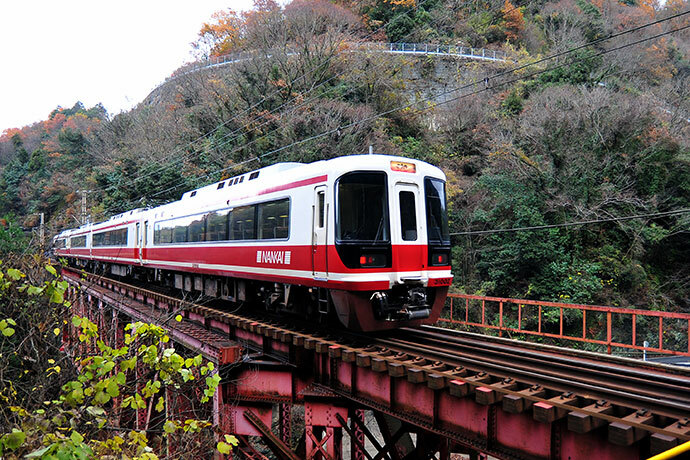 Copyright © Nankai Electric Railway Co.,Ltd. All rights reserved.